HP CQ58-d01SA 15.6 inch Business Laptop AMD E1-1500 1.48 GHz 4 GB RAM 500 GB W 8. 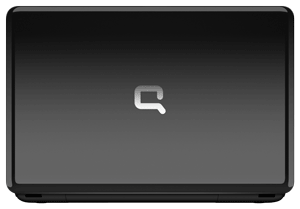 The Compaq Notebook PC is dependable and affordable -- it's just right for you and you get the features you need without paying for what you don't want. So sit back and enjoy your Compaq CQ58. Sometimes only a face-to-face conversation will do. With the HP TrueVision HD Webcam1, you always come off looking your best -- even in low light. Insert your camera's digital media card straight into the Compaq CQ58 to upload photos with the multi-format digital media card reader. Starting at 2.45kg (5.4lb), slip this notebook into your bag and be on your way. View your favorite sites on the 15.6-inch (39.6 cm) diagonal display. Embedded Software that allows you to access the Universal Music Catalogue for 1 year for free and a chance to win concert tickets, meets and greets with artists and exclusive concerts2. Integrated HP TrueVision HD Webcam with activity LED. Integrated 10/100 BASE-T Ethernet LAN.